Even though Akyaka is a wonderful place to just sit and do nothing, on occasions the urge will hit you to go somewhere. There are many places within relatively easy reach of Akyaka, of architectural, historical, and geological interest. The articles in this section are certainly not a complete list, but cover many of the most famous and stunning sites that are within a maximum of 3 hours drive from Akyaka – many are much closer, the approximate journey time and directions are given against each. They are not intended as an architectural guide, they are more of an amateur’s impression, each section where possible points you to the relevant website, where you can get more information, and details on opening times, admission prices, etc. Though it is worth noting that with the exception of Bodrum Castle (closed Mondays), virtually everywhere else is open 7 days a week, 365 days a year, during the hours of daylight. And the admission is never excessive, at the smaller sites it is nominal, and kids almost always get in for free. Whilst there are a few photos illustrating these pieces, there are planned to be many more in the Akyaka.com gallery – filed in albums with the same name as the site. Amphitheatres are generally excluded from here on the ‘seen on seen them all’ principle – although some of them are truly stunning. The two obvious ways to get around are to join an organised trip, or to hire a car. There are a number of companies in Akyaka that run these, (see elsewhere on this site) or your hotel / villa owner etc will be happy to help. This is probably the cheapest method of getting around, and also takes the stress out of the journey. Against this, most of (certainly the longer) trips leave very early in the morning, some are even overnight, and they may insist on taking in other places on the journey that may not be to your liking. Hiring a car in Turkey is not as cheap as in many other Mediterranean resorts, and you may be shocked to find that petrol is even more expensive than in England (it is one of the main ways that the Turkish Government raise tax revenues). However, hiring a car for at least some of your holiday is well worthwhile, and enables you to do far more exploring, both locally and at greater distances, than you would otherwise manage – as well as allowing you to choose your routes and timings to suit you. (See elsewhere on Akyaka.com, or other web sites, or ask around when you arrive). Driving in Turkey is not as horrific as some guidebooks would have you believe. 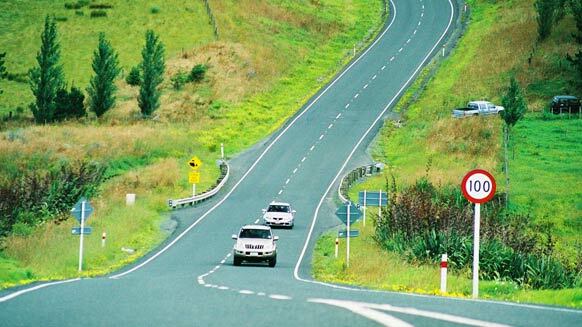 The roads are relatively traffic free, and there is nearly always an overtaking lane to use (depending on which lane is travelling uphill at the time!) Most road signs are fairly obvious, and even the extensive road improvement schemes rarely cause any significant delay. Do though be aware that because of the amount of up and down and around bits (other than along the coast road, most of the sites are inland and hence ‘over the mountains’) most journeys will take longer than you anticipate based solely on distance. You probably won’t average much more than about 75km per hour. There are many roadside services, ranging from European style petrol stations, (most of which take credit cards) through to little ‘shacks’ that sell most of the usual refreshments, obviously cash only. And of course look out for the stuffed sheep sellers – lay bys full of stuffed sheep, which no one ever seems to buy, and which no Turk has ever been able to explain!